Bradley has been subjected to a hostile work environment, called a “f***ing gay old WHITE man” and disciplined and written up by his Hispanic superior while she did not discipline or write up the Hispanic employee making the racial remarks and using profanity towards Bradley. Disabilities Act, Americans with Disabilities Act Amendments Act of 2008, the Texas Commission on Human Rights Act, and breach of contract. This action seeks equitable relief, compensatory damages, attorneys’ fees, taxable costs of court, punitive damages and post-judgment interest for Defendant’s willful discrimination against Plaintiff James Bradley in the course of his employment with AEO based on both his race and his disability. Plaintiff demands a jury trial on all issues that may be tried to a jury. Street, Houston, Texas 77035. The last three digits of his social security number are -259.
corporation with its principal place of business located at 77 Hot Metal Street, Pittsburgh, Pennsylvania, 15203, and may be served with summons by serving its duly appointed registered agent, Corporation Service Company, 2711 Centerville Road, Suite 400, Wilmington, Delaware 19808.
omission, it is meant that Defendant’s officers, directors, vice-principals, agents, servants, or employees committed such act or omission and that at the time such act or omission was committed, it was done with the full authorization, ratification or approval of each Defendant or was done in the routine normal course and scope of employment of Defendants’ officers, directors, vice-principals, agents, servants, or employees. Title VII of the Civil Rights Act of 1964 (42 U.S.C. 2000e, et seq.) and the Americans with Disabilities Act (42 U.S.C. 12101-12213) and the ADA Amendments Act of 2008. Venue is proper in that all, or a substantial part of the acts and omissions forming the basis of these claims occurred in the Southern District of Texas. 28 U.S.C. §1441(a). At all material times, Defendant AEO was engaged in commerce or in the production of goods for commerce. 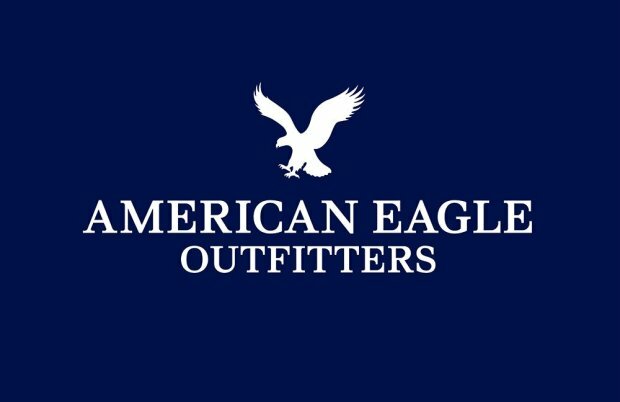 AEO is a private employer with at least fifteen employees. In March 2013, Bradley began employment at AEO as a store manager in the Texas City, Texas location at 5885 Gulf Freeway, Texas City, Galveston County, Texas. For the first several months, Bradley’s store made many improvements and won awards including the back-to-school contest. In August 2013, Bradley was recognized for his efforts and success as a manager and chosen to lead the district in the stock room organization roll out. In September 2013, Bradley’s store was chosen as one of the host stores for the AEO holiday meetings based on its progress. In December 2013, Bradley began having some health problems and informed his assistant managers of his medical condition, hemochromatosis, and that he would be starting treatments in January 2014. On December 18, 2013, Bradley informed his supervisor, Norma Lopez, of his medical condition, hemochromatosis, and that he would possibly need shorter days or additional days off, but would still be able to perform his essential job functions with the requested accommodations. Bradley’s medical condition substantially limits a major life activity, requiring him to have treatments to process his blood. In February 2014, Norma Lopez met with Bradley to inform him that due to his missing some work and trading shifts that he would likely be receiving his final notice of termination soon. Bradley reminded Lopez of their December 2013 discussion where Lopez told Bradley that as long as he was able to do his job they were good. Bradley contacted Employee Relations at AEO and expressed his concern about being terminated while undergoing treatment. Employee Relations suggested that Bradley look into AEO’s intermittent leave policy. Further, Bradley notified Norma Lopez that he was being discriminated against and he was forced to work in a hostile work environment, including being cursed at by non-white employees. On or about March 25, 2014, Bradley received a performance review from AEO and performed well enough to earn a raise. In May 2014, Bradley was again subjected to harassment, called a “F***ing low life,” an “F***ing loser,” and “a F***ing gay old white man” by a Hispanic AEO employee. This was again reported to AEO management with no corrective actions or response from AEO. On May 12, 2014, Bradley reported this to AEO’s company hotline that he felt he was being discriminated against and that management was protecting another employee due to race. AEO provided no corrective actions or response. Despite numerous complaints to AEO management, human resources, and employee relations, AEO has failed to address or take any corrective actions to stop the harassment of Bradley by AEO non-white employees, believed to be occurring in retaliation for his requests for reasonable accommodations for his hemochromatosis. EEOC and on November 17, 2016, received his Notice of Right to Sue. Each and every allegation contained in the foregoing paragraphs is re-alleged as if fully rewritten herein. Bradley has been discriminated against because of his race. about the hostile work environment created by his racial discrimination. The racial discrimination Bradley faced and would continue to face upon return to work has caused him to seek psychological counseling and has been unable to return to work. Plaintiff Bradley suffers from an impairment that qualifies as a disability within the meaning of the Americans with Disabilities Act, specifically, hemochromatosis. Plaintiff Bradley is qualified to perform the job-essential functions as store manager. As a result of AEO’s failure to provide reasonable accommodations for his medical disability, Bradley has been forced to take unpaid leave, despite reaching out to AEO asking for AEO’s help. Rather than providing reasonable accommodations when advised of Bradley’s medical condition, AEO sought to terminate his employment. After Bradley went on intermittent leave, certain AEO management began a campaign to find other reasons to terminate Bradley. Such was nothing more than a pretext to discriminate against Bradley for his medical condition. As a result of AEO’s acts and/or omissions, Bradley has been forced to seek psychological counseling and has been unable to return to work. certain terms and conditions in the Associate Handbook. Bradley complied with the terms and conditions in the Associate handbook. AEO takes every report seriously and will investigate all reports. An Associate may take leave under this Policy in consecutive weeks, may use the leave intermittently, or, under certain circumstances, may use the leave to reduce the workweek or workday, resulting in a reduced hours schedule. Associates requiring intermittent or reduced schedule leave for a serious health condition or because of the serious health condition of a family member must try to reach an agreement with the Company on a leave schedule that accommodates both the Associate’s need for leave and business needs. The Company does not tolerate harassment or repeated, unreasonable, workplace behavior – whether committed by a fellow Associate, leader, contractor, customer, or vendor – that intimidates, offends, degrades, or humiliates another person. This prohibition applies whether the harassment is based on one’s protected status or not. It is strictly against Company policy for a Company official to take any action in retaliation against an Associate for reporting or threatening to report a violation of this Code in good faith or for cooperating in any investigation of a violation of this Code. Any such retaliation is itself a violation of this Code. Bradley attempted to reach an agreement with the Company on a leave schedule and was instead threatened with termination. To this day, AEO has done nothing to address or correct the behavior of AEO employees making the harassing and repeated, unreasonable comments directed at Bradley and, in fact, AEO management has retaliated against Bradley for complaining of the harassing conduct. Plaintiff makes a formal demand for a jury trial in this matter. All conditions precedent have been performed or have occurred. FRCP 9(c). All further relief, whether legal, equitable or injunctive, as may be necessitated to effectuate full relief to Plaintiff.